We know just how important orthodontic care is for everyone. A smile can make quite the difference to a child (and even an adult’s) confidence, self-esteem and success in life. Because oral health and straight teeth are so important, we at Belmar Orthodontics participate in various organizations to give back to the community. Smiles Change Lives and Project Smile are just two organizations that give dental services and orthodontic treatments to children, teenagers and adults in need. Learn more about these organizations and how we help make a difference when it comes to orthodontic care. Around ⅓ of the people noticed the teeth immediately, whether they were crooked or straight. 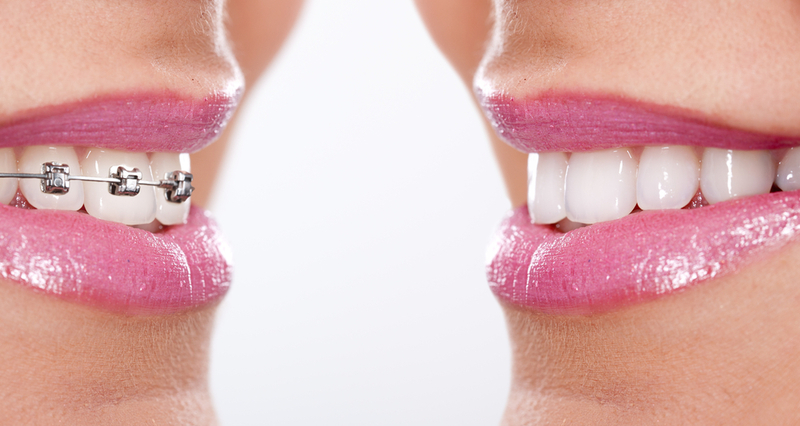 Around 73% of the people were more likely to trust someone with straight teeth. People with straight teeth were 21% more likely to be perceived as happier, 47% to be perceived as healthier and 38% more likely to be perceived as smart. The study also showed that people with straighter teeth were found to be more attractive and assumed to be more successful. These findings all came from the simple perception of how the teeth looked! Because of studies like these and our profession in general, we know just how much a straight smile can affect the lives of everyone who receives one. But what happens when a parent can’t afford orthodontic care for their child? That’s where we come in. We are part of Smiles Change Lives and Project Smile, both of which strive to provide orthodontic care to those who otherwise couldn’t receive it. Smiles Change Lives (SCL) helps parents with financial limitations provide orthodontic care for their children. The organization helps them locate orthodontists willing to donate their time and expertise to change smiles via orthodontic care. The organization originally started out as “The Virginia Brown Community Orthodontic Partnership” in 1997 specifically aiming to help improve confidence and self-esteem to children by straightening their teeth. The founder herself grew up in a household that did not have the means to provide orthodontic care for her, which greatly impacted her own self-esteem. Thus, the program seeks to help as many families as possible receive orthodontic care. Since 1997, over 9,000 children have received care through SCL. SCL offsets the full cost of braces, making it so children that otherwise couldn’t afford orthodontic care can receive healthy, beautiful smiles. Dr. Hardy was honored in March 2014 as SCL’s Orthodontic Provider of the Week and strives to provide quality orthodontic care through this organization as well as his everyday work with his patients. Project Smile works with a similar goal in mind when it comes to providing orthodontic care for those in the local community. However, this organization partners with businesses, organizations, and individuals to meet the urgent needs of local children that need dental and vision care. This organization is locally-based and seeks to strengthen the health of children in the Jefferson County School District. Strengthening the youth in our own city will help those children to grow up with the confidence and health they need to succeed. This project has grown and spread to other local school districts (such as Poudre School District) and will continue to grow with help. Studies have shown that proper dental care helps eliminate tooth aches and pains that lead to decreased focus and decreased learning abilities in children. Problems with vision also contribute to a decreased learning abilities, which is why this organization puts these two services together. No child should have to live with tooth pain or poor vision. We are always looking for new ways to serve and help our community. We know we can’t help everyone that needs proper orthodontic care, but we know that we can help many. If you want to know more about the ways we give back to the community, or if you have a suggestion for who else we can help, please contact our office today at (303) 225-9016.